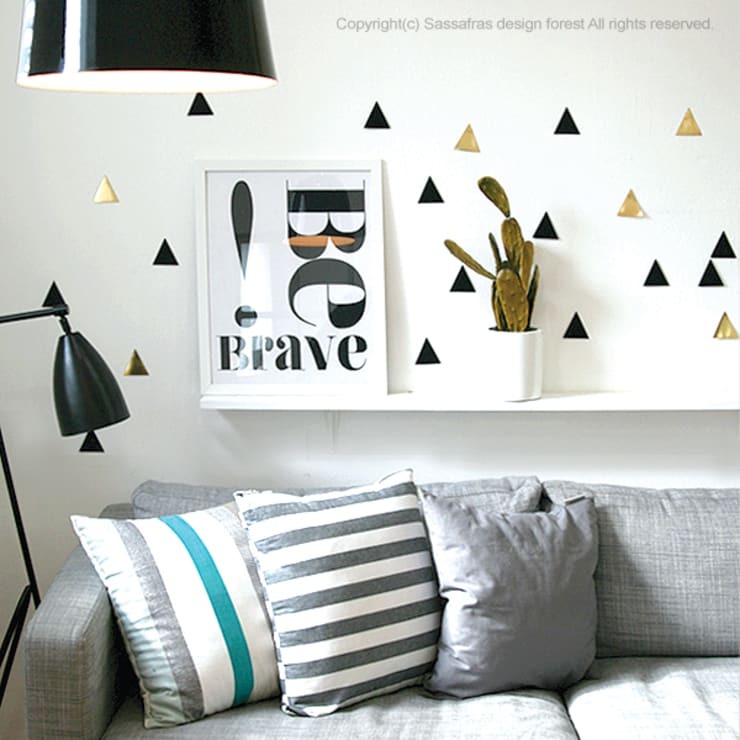 Need something to fancify a staid, lonely corner on your wall or embellish your kid’s room? Give it a natural and fresh feel with this delightful forest wall deco and have spring in your home all year round. This wall ornament designed and handmade by Sassafras consists of 12 decorative trees cut from felt with three different playful designs--stripes, big polka dots, and small polka dots. Each tree has a dimension of 8cm (width) x 10cm (height) and a double-sided tape on the back for posting on the wall or glass window in the desired pattern. It can easily be removed or repositioned without leaving a residue. ["PL"] [Published] Wyjątkowe pomysły na dekoracje ścian! ["PL"] [Published] Pusty kąt w domu? Tak go pomysłowo urządzisz! ["PL"] [Published] Niezwykłe tapety, które można zrobić samemu! ["PL"] [Published] Naklejki na ścianę i jak je aplikować!